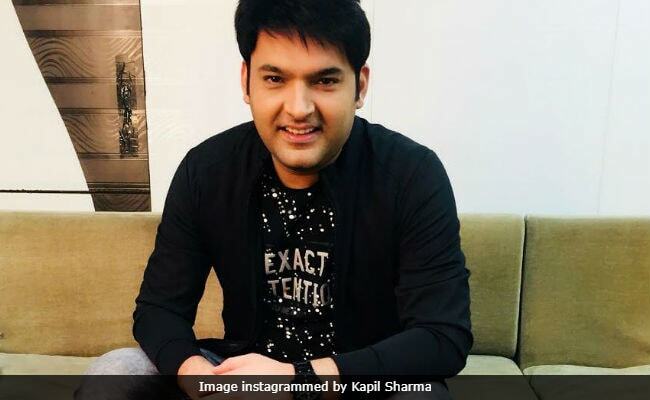 Kapil Sharma, who is on Firangi promotion duty, visited the sets of his television show The Kapil Sharma Show, which is currently being used by Super Dancer Chapter 2. Kapil's show was taken off air temporarily in August and the show's return date hasn't been announced yet. "It was a nostalgia trip for me to be on the sets of Super Dancer Chapter 2, which happened to be the set of The Kapil Sharma Show as well, where I used to welcome Bollywood celebrities, sports personalities, international artistes, and many other well-known faces, it was my time as a guest," Kapil said in a statement, reports news agency IANS. Kapil added: "It was an emotional as well as a happy moment for me visualizing the days where we put up a great show and made the whole nation laugh. Nonetheless, I wish to come back and rock the stage all over again. It was an energetic atmosphere watching the kids perform and sharing the judges panel with Shilpa Shetty Kundra, Anurag Basu and Geeta Kapur." Kapil Sharma's show was taken off air due to the frontman's ill-health and falling TRPs. Kapil, who was not keeping well after his fight with former co-star Sunil Grover, had cancelled several shootings due to his ill-health. One of the first shoots he canceled was that of Shah Rukh Khan and Anushka Sharma's (for the promotion of Jab Harry Met Sejal). "I suddenly felt that I cannot shoot, I won't be able to go on set, I cancelled the shoot and then I cancelled the second shot, third and fourth. Shah Rukh Khan came to meet me, he advised me 'Take rest and set your mind', and I took his advice and took a break. I even talked to Anil Kapoor as I was feeling guilty about cancelling the shoot," Kapil told IANS in another interview. Firangi is Kapil Sharma's second Bollywood project after the ill-fated Kis Kis Ko Pyaar Karoon, which released in 2015. Firangi is directed by Rajiev Dhingra and it is expected to release on November 24.